This is one of a number of early stone-built houses which rang along the south side of West Street: Bromwich's (Porch House), Farrs (long since demolished), West Street Cottage, West End Farmhouse, and Brook Farmhouse. 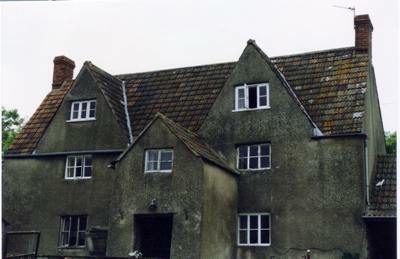 The house, a Grade 2 listed building, was probably built in the first half of the 17th century and has been little altered since. An excellent example of a substantial yeoman farmhouse with the central service-room plan that was common in the 17th century. The two-storey porch, originally on the north side, was moved to the south side when the quarry encroached and narrowed the road at the end of the 19th century. Full architectural details are in unpublished notes by Mrs Hall. 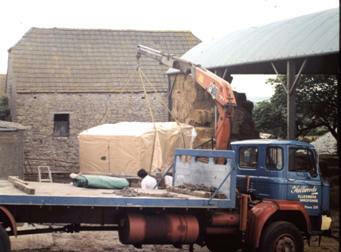 The cider press, still in active use, is largely the one formerly at Malt House, augmented by parts from that at Freemans Farm, Itchington. Although situated in the village of Tytherington, Brook Farm seems to have been, since 1700 at latest, part of the Manor Itchington. The first record of it is in an Estate Map and Schedule of 1769; the Manor was then held by Lord Willoughby de Broke - hence, no doubt, the farm's name. The Map and Schedule show the tenant as Mr Matthews, the acreage as 113. Over the subsequent 200 years, the main boundaries of the farm have remained largely unchanged. Joseph Matthews died in 1782, and was followed as tenant by his son Richard (c.1755-1831), a yeoman. This Richard had bachelor brothers, James and John, who lived together at Hopyard Cottage, Itchington. His sister, Martha, married John Bedggood of Wickwar; their son John emigrated to New Zealand in the pioneer days of 1836 and founded the Bedggood family which flourishes there to this day. There are memorials in Tytherington churchyard to both Richards, John and Martha. By 1839, the farm had been sold to Richard Honnywill Esq., who also bought Lower Farm, Itchington. At the end of the century, both these farms belonged to the Rev. Mr. Honnywill, a former missionary, the vicar of Leigh-on-Mendip, with a family home in Alveston. 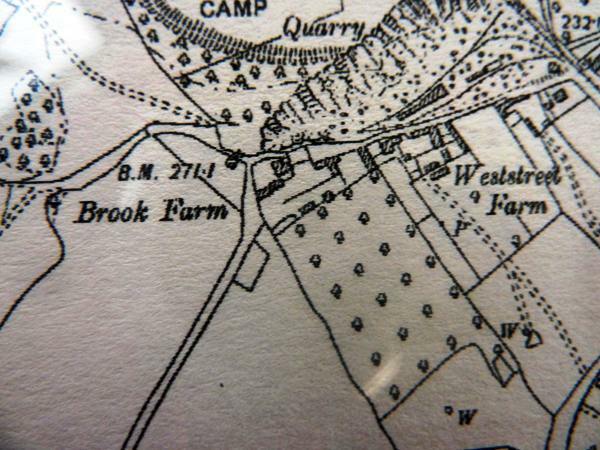 The sale of Brook Farm in the 1830's brought some small changes: a few of Manor Farm's fields were added, one or two of Brook Farm's fields conveyed to other owners making a net increase of 28 acres. This was a rich farm; tax records from 1780 to 1825 show that Brook Farm was taxed at £15 a year, considerably more than any farm in Tytherington manor. Thomas Tayler took over the tenancy from the Matthews; when he died in 1867, his wife Harriett kept the tenancy for some years more, no doubt greatly helped in running the farm by her enterprising son-in-law John Hawkins Tyler of West End Farm, next door. But in 1872 she moved to The Villa, where she died, aged 87, in 1885. By 1881 Brook farmhouse was unoccupied: John Hawkins Tyler had died, and at this period of deep agricultural depression another tenant for Brook Farm may have been difficult to find. But by 1889 Robert Tanner was farming here, Leigh Staley at the turn of the century, and Daniel Nichols to the First War. In the 1920's Robert Williams took over the farm, followed by his son Arthur in 1943 and his grandson Robert in 1952. Around 1968 Robert 'Bob' Williams and his family took a series of photographs which illustrated the farming year at Brook Farm. Some can be found below and others HERE. 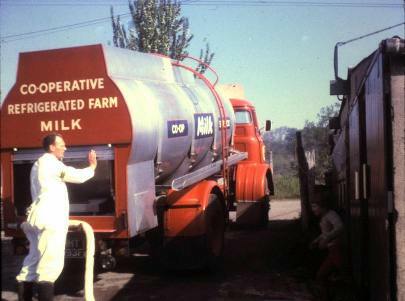 The first bulk milk collection at Brook Farm Receiving delivery of the first bulk milk tank in 1968 at Brook Farm .